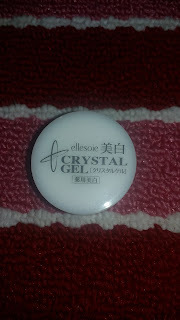 So, this is my first time to write a review about this product named Ellesoie Crystal Gel. The whole thing written on the container is in Japanese so, i can't read it hahah! i just find some other pages that its Description is written in English. 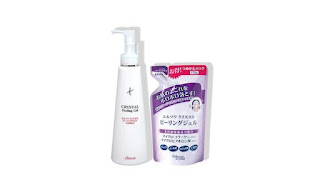 The Ellesoie Crystal Peeling Gel Is a long-selling product released in 2006. Envelops and Cleanses the impurities that you couldn't removed by simply washing and exfoliating. continuously fortifies your skin’s moisture. 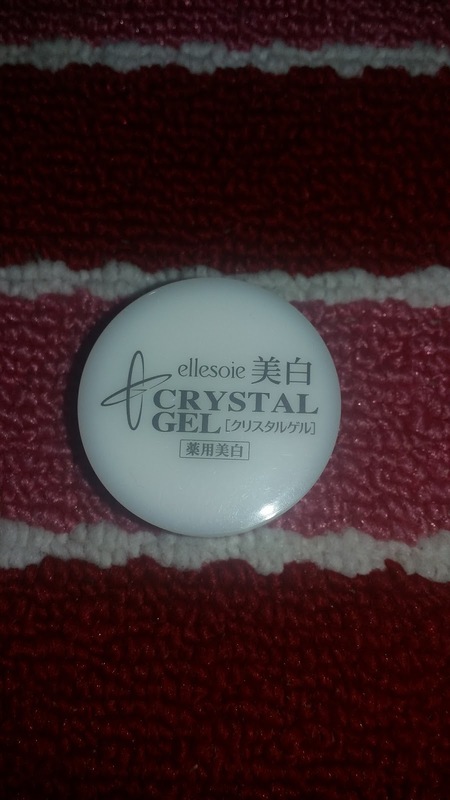 This is what the Ellesoie Crystal Gel Looks like inside. It's like a natural, typical gel. It is odorless. When i first used it, after washing my face with a cleanser, i put an ample amount of this Crystal Gel all over my face. While rubbing it on my entire face, i noticed some peeling-like thing going through with my fingers. it is like a dried glue on my skin and it feels like lifting my face. Oh my gosh, it's like i'm having a DIY Face lift! Lol. the Gel that dried on my face peels while i'm rubbing my face. 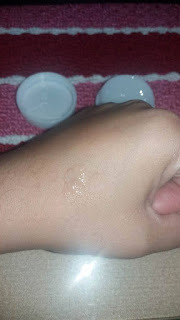 i think, those are the dead skin cells on my face that cannot be remove by a face cleanser alone. After putting and rubbing the Crystal Gel on my face, i can feel my face becomes smooth like a baby skin and looks fresher than before. 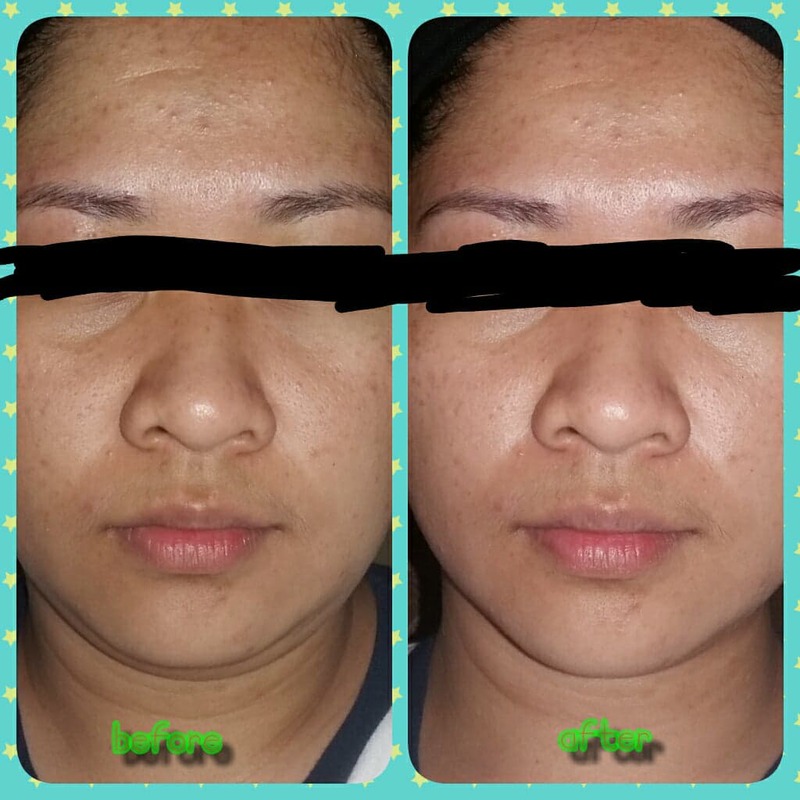 As you can see, if you notice my face became slightly reddish maybe because of my rubbing procedure hahaha! but i noticed that some of black spots over my face lessen. so, because of this, i am giving the product an 8 out of 10 stars. 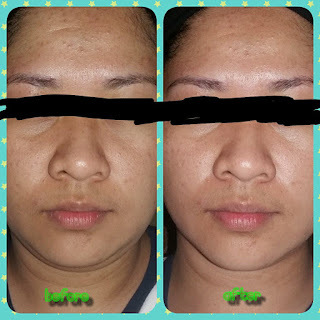 maybe when i used it daily for 1 month, my face will be more clearer, fairer, fresher and smoother than this first try. too bad, i only have a sample of the product so i cannot use it for a month. maybe just for a week only! woohoho.. pls. give me more. Cosmeria! !